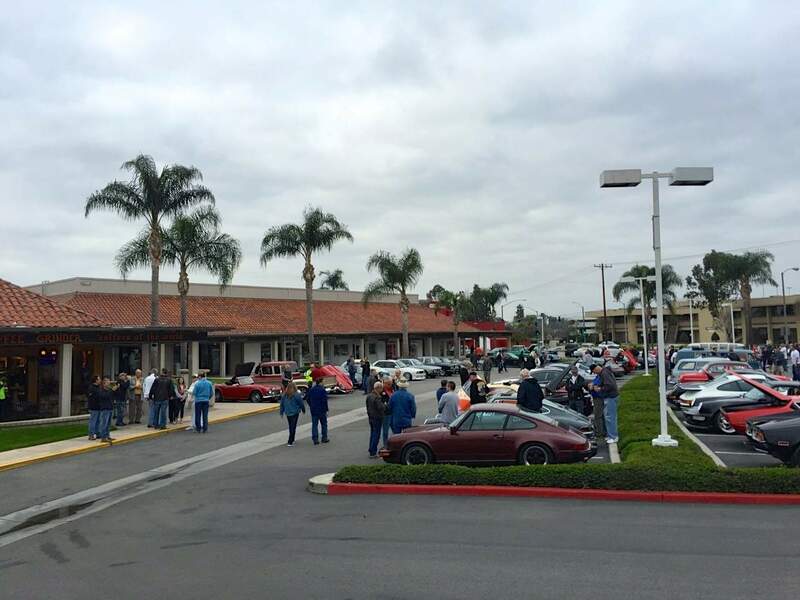 Cars & Coffee in Irvine quickly became an institution with all automotive enthusiasts. Why was it so successful? The magic formula might be that it wasn’t an organized event, but rather a simple happening that grew organically. The Enderle Center in Tustin, CA. We have been invited to come from 6 AM to 9 AM to enjoy ourselves as guests of The Enderle Center. Al Enderle is a car guy. At 86 years young, he’ll be there to meet us this coming Saturday February 21. His property manager, Sharyn Cable will also be there. We have their blessing, but we MUST be good guests. We need to keep the noise down. 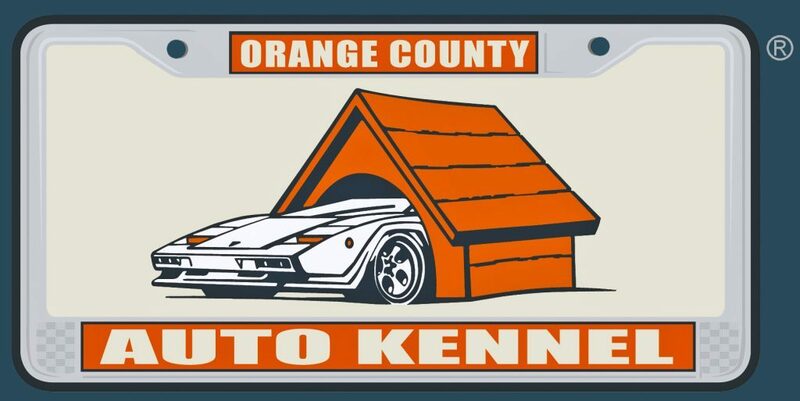 They are aware of the legacy of Cars and Coffee and are honored to be involved. We do not want to wear out our welcome. Let’s be sure to support the vendors (no brainer), behave ourselves, and enjoy the unique setting that Al Enderle and his tenants are providing. We encourage enthusiast with unique cars to come and join us. We are most excited with those who would like to share their European or classic domestic (pre-1980) examples. We hope that this can be a gathering of special cars. 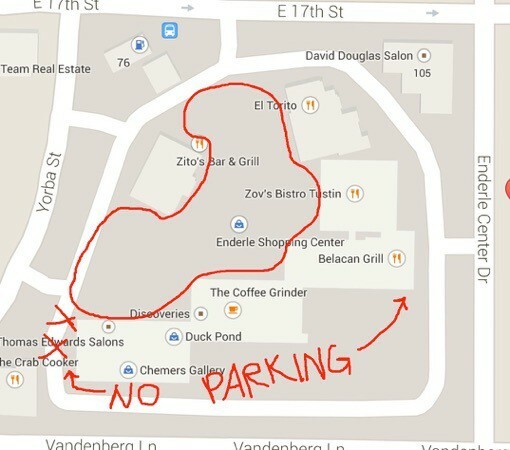 NOTE: YOU WILL SEE ON THE MAPS BELOW WHERE IT IS NO PARKING! 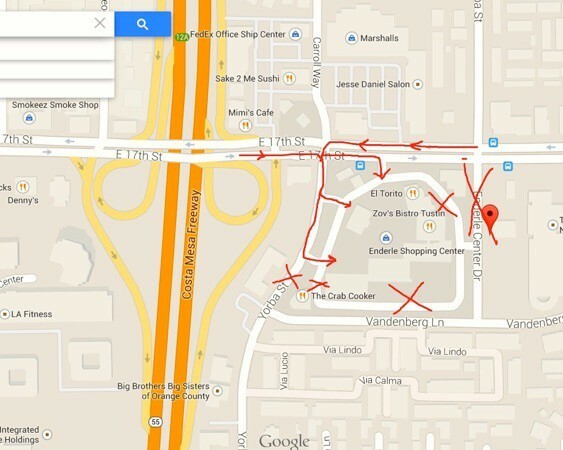 THAT SIDE OF THE SHOPPING CENTER IS RESIDENTIAL AND WE NEED TO AVOID DRIVING OVER THERE IF WE WANT TO KEEP OUR EVENT GOING!